A TV showroom in west Delhi's Shalimar Bagh was looted on the intervening night of Sunday and Monday. 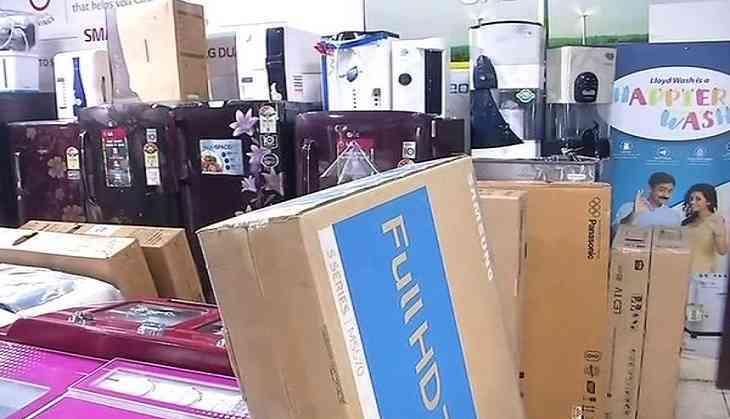 LED Televisions worth Rs 3 to 5 lakhs were stolen from the shop. The owner of the shop alleges that police did not reach the spot even after he called them. "I checked on CCTV and instantly called Police. But the PCR which normally are seen patrolling in the area came 27 minutes later, by then thieves had decamped," the owner told ANI. "The masked thieves were here for 1 hour and broke all the locks. Soon after I was informed about the burglary I reached here. On seeing me here the thieves fired at me," added the owner. The entire burglary has been captured on CCTV cameras.